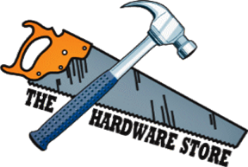 Your locally owned and operated hardware store for more then 30 years. We pride ourselves in providing the best customer service to all of our customers. Not just in the hardware side but also in the lawn and garden side as well. We are one of the largest Stihl dealer in Arkansas, and we received that by servicing our customers to our fullest ability. Our motto "We service what we sell, and service it well" is what really drives us at the store. We are an old fashion hardware store plus a power lawn and garden dealer for Stihl, Toro, and Scag. We service all Stihl power equipment, Toro, Scag, and most of your major engine brands. All of your service technicians are fully trained by each manufacture to provide you with the highest quality of service. (479) 442-6000 5 W. Township St.
Mon - Fri: 7:30 a.m. - 6 p.m. Sat: 8:30 a.m. – 5 p.m.